There are numerous resources available to learn more about Clifford Shull’s achievements and research. A few selections are listed below. 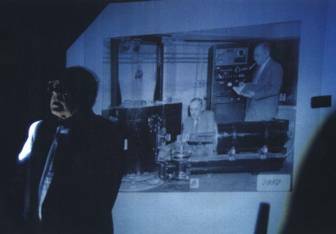 Image: Shull delivering lecture with slides, c. 1999.